Scotty Mac Construction Inc. is a state certified General Contractor, in business for over 30 years, specializing in commercial and residential building, remodeling and restoration. We have built our business on the continued referrals and repeat clients based on our reputation for excellent service, impeccable workmanship and on-time performance. Our clients vary from property management companies to home and business owners. Rest assured that we have the expertise, skill and proven track record to meet your standards and all of your construction needs. We provide outstanding service through experience, teamwork, accountability and innovation – all of which is reflected in the quality of our results. Gulf Homes builds custom homes tailored to our client’s needs! Whether it is a new custom estate or a renovation to an existing home, we ensure that each and every project is managed by qualified and highly experienced project teams that deliver quality craftsmanship, on time, within budget and always exceeding our client’s expectations. With a key emphasis on integrity, quality and experience, Gulf’s innovative approach to design, management and construction will save you time and money on your project. CP Construction is based in Miami and offers a variety of services which meet all needs of the construction market. Our goal is to accompany our customers from the initial stage to the final completion of the project, while honoring all the necessary steps. A solid project design along with appropriate and balanced architectural, mechanical, structural, electrical, and plumbing consulting facilitates the observance of regulations to obtain licenses and to start a proper construction or remodeling site with a qualified Site Management and, at the same time, coordinated with Interior Design services in order to provide an ideal product at the best value. Indian River County Homebuilder - 4X Best of Houzz Winner! Shear Construction & Management has proven itself to countless satisfied homeowners over the past 30 years and continues to deliver an extraordinary product by building luxurious homes. Our goal is to make sure that each project is done with high quality craftsmanship. Whether it is new construction or a renovation, our staff is qualified to meet the needs of each job. Each member of the Shear team is committed to you, the customer, and this dedication is evident in every aspect of our business. Choosing Shear to construct or remodel your home, condo, or business means getting the best craftsmen and the finest materials. It also means working closely with our courteous team of professionals, dedicated to making your experience the joy of a lifetime. Regardless of budget, every one of Shear's renovation projects has built-in luxury. Whether performing a full renovation or simply updating a kitchen or bathroom, it is our goal to help transform the idea of your dream home into a reality. New construction and remodeling contractor based in Miami with over 20 years experience including numerous new construction residential projects of 12,000 sq ft to 50 plus office's at Miami International Airport. We were the sole remodeling and design contractor for a 1000 unit apartment sale project in Tampa. We have a staff that assists in the construction process as well as the design and finishes decision making. Rausa Builders, Corp. has decades of combined experience in Home Additions / Improvements, Remodeling, Roof Repair / New Roofs, Renovations and New Construction in Miami-Dade, Broward and Palm Beach Counties. We are South Florida’s premier residential & commercial construction contractor here to assist homeowners and businesses with construction projects from start to finish. We can obtain the necessary Building Permits, handle the construction project planning, structural foundation, interior & exterior framing, carpentry, drywall/sheetrock, interior texture, landscaping and all the finishing touches that will leave you satisfied with the success of your construction project. Rausa Builders, Corp. is also a Florida Certified Roofing Contractor, Home Inspector, Mold Remediator & Mold Assessor. We have built long-term relationships with subcontractors and other industry partners which allows us to provide the best quality, service, and pricing to our clients. Rausa Builders, Corp. offers quality craftsmanship, competitive pricing, a safe construction site and a timely completion of your next construction project. Our commitment to our customers is proven by the returning clients accounting for more than half of our business, year after year. Contact us for your next construction project estimate! We can also recommend qualified architects, engineers, and subcontractors as needed. Call us today for a free estimate! We are Design/Build & General Construction Company that is family owned and operated for over 40 years. We bring integrity, honesty and cutting edge design to our clients. We strive to make every project unique while bringing the clients ideas to reality. We always deliver customer satisfaction. Corry's Creations and Construction has a proven record of excellence in designing and managing several building and construction projects in South Florida. No matter the size of your project, the experienced professionals at Corry's Creations and Construction will plan, design, construct, and maintain your project. Effective planning is crucial to the successful completion of any project. Before starting the project, our team of experts will first assess your goals. Then we provide you with an estimate and time-line for completion. From beginning to end you will be involved every step of the way. Call us today to get your dream project underway! I am a general contractor and owner of Garza Contractors with long-standing community roots in Fort Lauderdale, Florida. My company focuses on luxury residential building and remodeling. 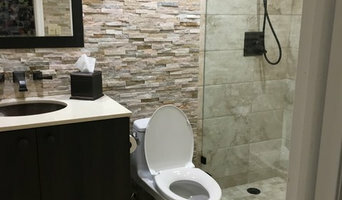 We have a reputation in the community of providing an accurate estimate and staying within the project timeline and budget and customers consistently rave about our quality service and excellent results. An added bonus is that most of our improvements incorporate energy efficient construction and remodeling to reduce your electric bills and improve on the comfort of your home. At Garza Contractors we listen to your concerns and discuss your needs to enable us to build a plan to accomplish your project within the time and budget constraints you require and make sure you, as the customer, are completely satisfied with the outcome of your project. At Garza Contractors, we also offer a full range of estate property management services for luxury homes, vacation homes, rental and commercial properties, representing the owner’s interests in maintaining their property and keeping it safe and secure. Never again will you need to worry about your property. Robert Garza. Whether you’re undergoing home renovations or building from scratch, hiring the right home builder is essential. Your choice will determine the quality of craftsmanship, as well as how high your stress levels rise! 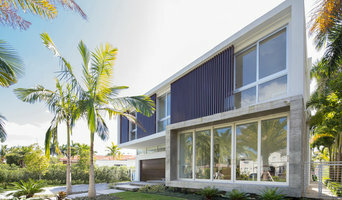 A home design or building project is a huge and multifaceted undertaking, so it’s important to find a local Miami, FL builder you can trust to bring your vision to life and keep the process under control. The Houzz professional directory of home builders is a great starting point to choose the right builder for your needs. What exactly do Miami, FL home builders do? Before any nails are hammered down, construction companies perform market research to determine whether the prospective site for a new home in Miami, FL makes sense. They also survey the land to make sure it is suitable for construction, and obtain any necessary Florida permits. Scroll through this page to find contractors in Miami, FL. Then, click on a professional to browse photos of their latest projects and see how their work compares to the scope of your project. Read reviews to see how other homeowners rate their work, and message the home builder or construction company directly to ask any specific questions.